Raw veggies wraps are seriously my jam. They’re great for those days when you have no idea what to eat for lunch. 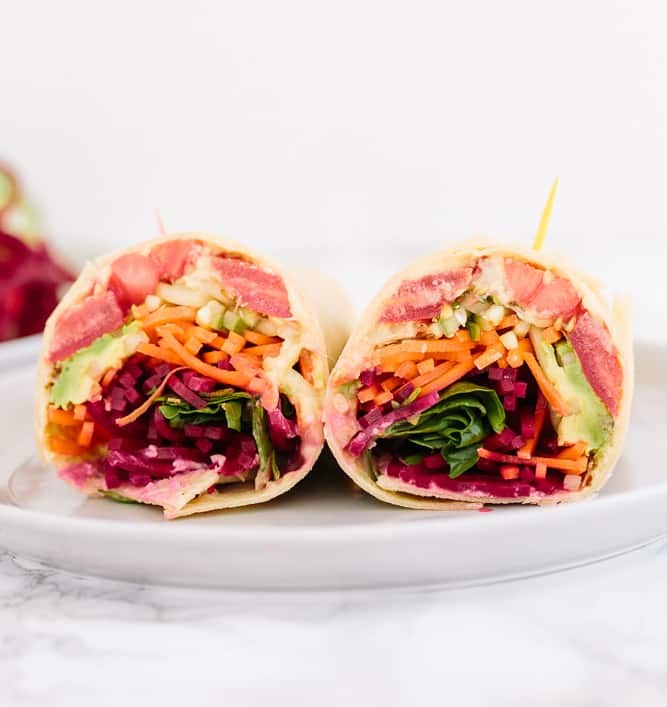 All you have to do is spiralize all the veggies in your fridge, roll them up in a wrap with some hummus and avocado and voila: a filling, healthy, nutrient-packed meal. When we went to Bali (did you see the recap on my lifestyle blog?) we stumbled upon this adorable hut restaurant on the beach called Kelly’s Warung. It was our last day in Bali and we were headed to the airport later that day to go back home. I’m so happy we stopped at this spot because I had the most unbelievable veggie wrap with raw beets. Thus, today’s recipe is inspired by that wrap. While I’m not eating it beachside, it’s still just as delicious – and now, spiralized. 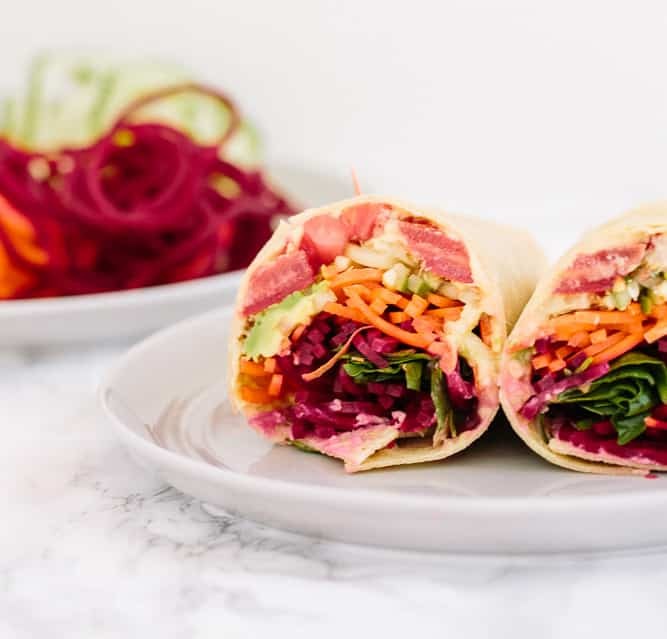 The beets are what really drive this wrap home – they are gorgeous in color and offer a nice, new flavor. I usually use Ezekial’s wraps, but I used a gluten-free wrap because that’s all they had at the grocery store, so it broke apart and made this dish a bit harder to photograph. 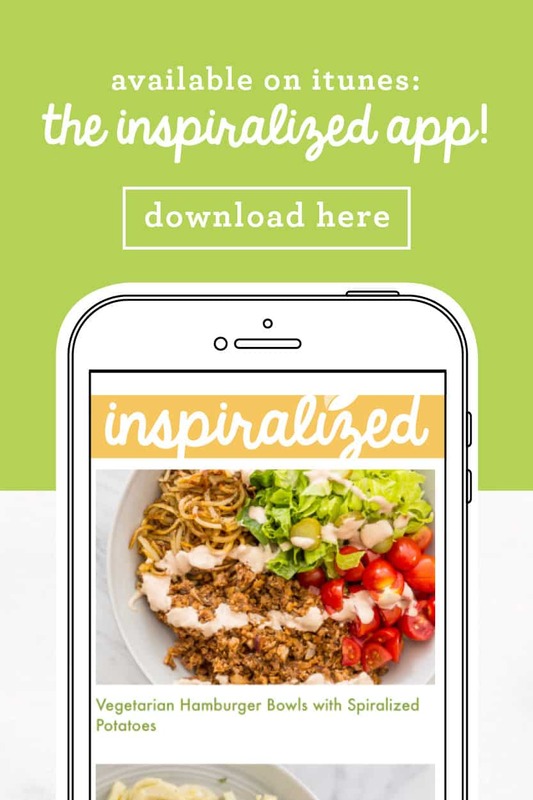 Pretty much, add in here any veggies you’d like – and switch it up to your preferences. 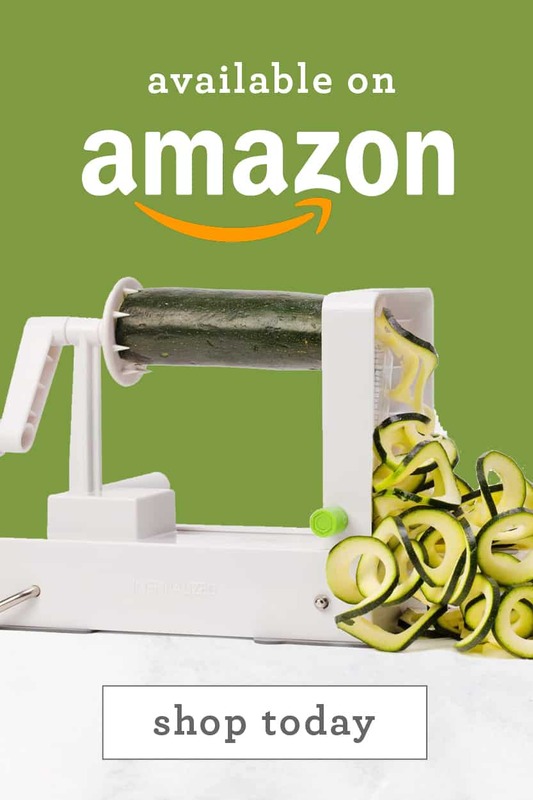 The beet/cucumber/carrot combination is tasty, but feel free to add in zucchini noodles and swap. 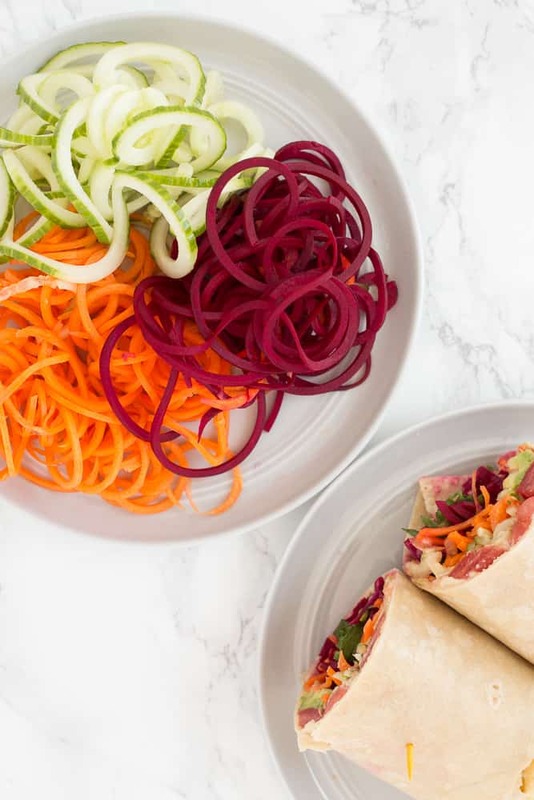 And if you’re meal planning and spiralizing veggies in advance, this wrap is even easier to make on the fly – and saves well when wrapped up for lunch! 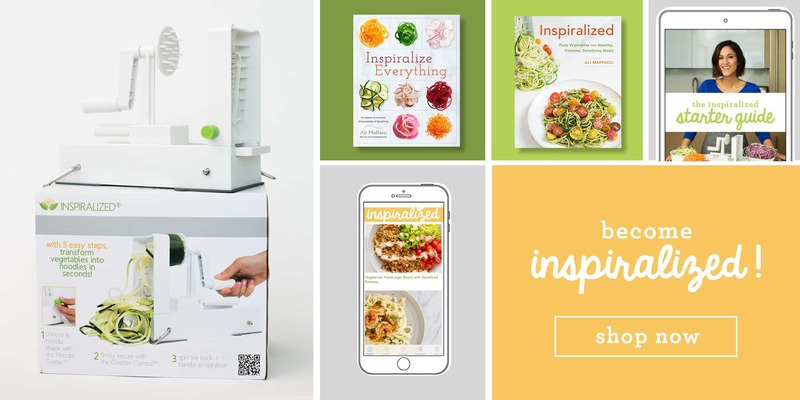 Tonight at 11:59pm EST, the Inspiralize Everything giveaway ends, so make sure you enter to win! 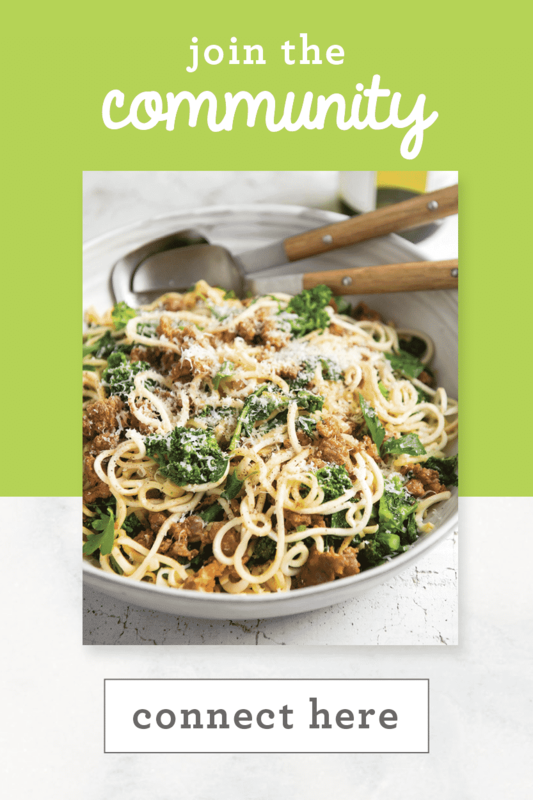 Enter on Instagram or Facebook – three followers will win a signed copy of the cookbook. 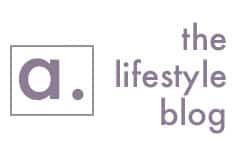 Winners are announced tomorrow on the blog and only open to US addresses. Good luck and thank you for your support! Enjoy now or refrigerate for later. 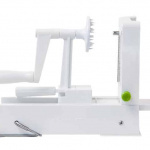 You can also press the sandwich in a panini press to heat slightly. 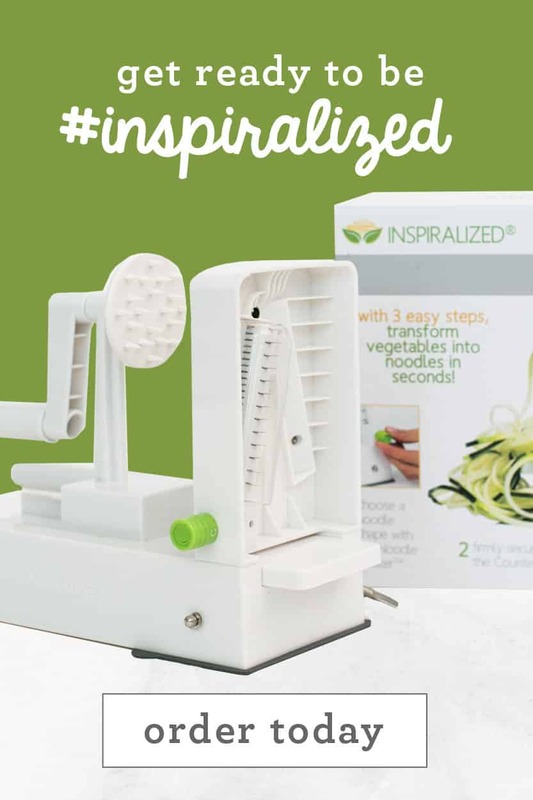 Do you ever spiralize your veggies and keep them in your fridge? I like to prep ahead and I was wondering if the veggies keep well? 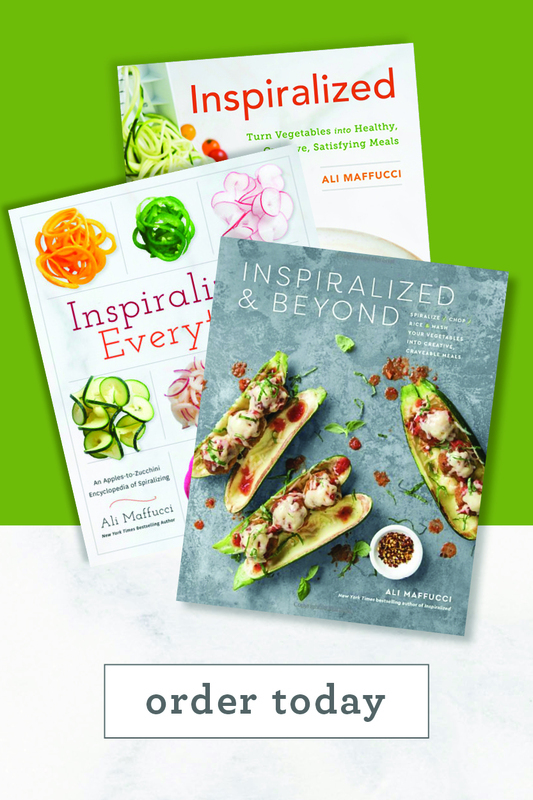 Love the new cookbooks and videos of the new recipes! Quick question- you mention you usually use Ezekiel wraps. I have tried to use Ezekiel, but they fall apart too. Is there a secret to using these? Just curious. Wrap looks delicious. Have you saved these wrapped in a collard green? Just wondering if I could make one the night before, then eat next day or follow day.. PS Just finished up leftovers of the spiraled bell peppers and sausage. Gosh that was so good. First bite I was thinking "okay this might be a regular rotation recipe. whoa!" I love this wrap! 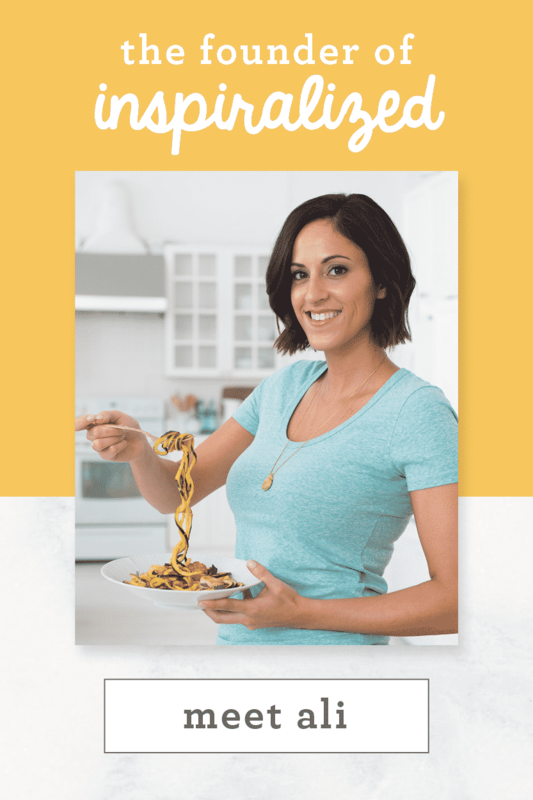 It looks like a great vegan recipe! Definitely will try this with collard greens or Flatout wraps! Ahhhhhmaaaazing recipe!! I added wild smoked salmon to my wrap and substituted zucchini noodles for the cucumber and it was insane!!! Totally obsessed with these wraps! Do you cook the beets prior to spiralizing it??? Hi Sean, sprouts are the shoot of a plant!